The career of former Gambino Mafia Family Underboss Sammy "The Bull" Gravano has now come full circle; the Brooklyn hood who started his résumé as a soldier in the United States Army, then as a Hairdresser, then in a succession of professions, including nightclub owner, loan shark, burglar, armed robber, construction industry worker, hitman, and Underboss of the Gambino Family, only to then be employed by America’s law enforcement community as a co-operating witness for the United States government, who then, once released from prison, enlisted his own wife, son, and daughter in a scheme peddling drugs to children, has now been charged with the murder of a member of America’s law enforcement community. Authorities in New Jersey now claim that Gravano and a notorious serial killer for the Mafia, Richard Kuklinski, were responsible for the 1980 murder of New York City Police Officer Peter Calabro. If Gravano is convicted of this charge, it could generate new trials for those Mafia figures convicted as a result of Gravano’s testimony, including Vinnie "The Chin" Gigante, the alleged Godfather of the Genovese Mafia Family. Notes to the Judge from the jury during deliberations in Gigante’s 1997 racketeering trial revealed that the jurors considered credible the testimony Gravano gave against the aging "Oddfather." Gigante soon faces a second trial in Brooklyn Federal Court, the second of the so-called ‘On the Waterfront Trials’ regarding the Mafia’s control of the International Longshoreman’s Union. In that trial Federal Prosecutors will claim Gigante evaded prosecution for years by feigning mental illness, which included Gigante’s wandering around the streets of Manhattan wearing his bathrobe. The first ‘On the Waterfront Trial,’ currently underway, involves two brothers of former Gambino Family Godfather John Gotti and featured the testimony of action star Steven Seagal as a Prosecution Witness. This latest development regarding Gravano comes too late for John Gotti, who died of throat cancer last year while serving a Life Sentence in Federal prison on convictions that were the result of Gravano’s testimony. In 1996 attorneys filed documents seeking a new trial for Gotti, alleging in part that Gravano perjured himself when he testified he was ONLY involved in the murders of 19 people. Gotti’s legal team presented evidence that Gravano was involved in at least 2 other murders, that of car salesman Jules Cass in 1972 and a car dealer named Donald Malley who was beaten to death in 1975. In the Cass case, a co-worker of his who witnessed the murder gave a description of the assailant to the NYPD that strongly resembled Gravano. The man accused of the beating death of Donald Malley was put on trial, but a jury acquitted him. Years later, lawyers for John Gotti alleged that assailant was prepared to testify that Gravano paid him $4,000 to kill Malley. Supporters of Gotti also floated to the Media allegations that Sammy the Bull was involved in homosexual relationships with several young men, at least one of which was one of his murder victims, his own brother-in-law. Gravano’s sexual appetite was said to have been fueled by the enormous amounts of anabolic steroids the hitman used to bulk up his diminutive frame. Increased sexual desire and ‘roid rages,’ explosive outbursts that have been known to prompt the abuser to violence and sometimes murder, are among the side effects of steroids abuse. Sammy Gravano was also alleged to have tried to hire a hitman to murder attorney Ron Kuby, who filed a lawsuit on behalf of the children of men murdered by Gravano. The lawsuit sought the seizing of the profits Gravano made from the best-selling book UNDERBOSS by Peter Maas. The lawsuit was unsuccessful and Gravano was never charged in the alleged attempt on Kuby. Attorney Kuby appears on a popular radio program, Curtis and Kuby. Kuby’s partner Curtis Sliwa had his own run-in with the Gambino Family during an incident in which he was shot in the streets of New York by assailants Sliwa claimed were associates of John "Junior" Gotti. At the time the allegations about Gravano were made in the 1996 Appeal, they were not given much credence, and Gotti was denied a new trial. What is interesting all these years later are the similarities between the allegations regarding the Malley murder and the charges currently facing Gravano; Gravano was alleged to have paid a man to kill Malley; the current charges allege that Gravano paid Kuklinski to kill Officer Calabro. Gravano is said to have provided Kuklinski with the shotgun used to carry out the deed. In most of the murders that Kuklinski committed, there is a common theme of Kuklinski relying on other conspirators to provide the weapons with which he carried out the murders, weapons that have included shotguns, ice picks, cyanide, and hand grenades. Kuklinski is dubbed the "Iceman" because of his experimentation with the storage of his murder victims in freezers, which was an attempt to fool the medical examiners as to the times of their deaths. The unsolved case of the murder of Officer Calabro was reopened after Kuklinski appeared in a 2001 interview on the HBO series ‘America Undercover.’ On that program Kuklinski, already serving life sentences for other murders, boasted of committing over 100 murders on behalf of organized crime, including the hit on Officer Calabro, for which Kuklinski has now pleaded guilty. However, the confessions of the "Iceman"evoke memories of the allegations of another prolific Mafia hitman, Anthony "Gaspipe" Casso, who has admitted to murdering 34 people as an Associate of the Luchese Mafia Family. When, in the mid 1990s, Anthony "Gaspipe" Casso was arrested, the career hitman agreed to be a co-operating witness for the Feds. "Gaspipe" offered some big names in return for the promised good life in the Witness Protection Program. Casso stunned Federal Prosecutors by claiming that he hired two decorated NYPD cops, Lou Eppolito and Steve Caracappa, to carry out the sensational murder of Gambino Associate Eddie Lino. Casso claimed that Lino, who was one of the triggermen in the Paul Castellano murder, was becoming untrustworthy as his heroin addiction escalated, and thus the Mafia wanted him taken out. This reporter was one of only two in the New York area to champion Eppolito and Caracappa and challenge the validity of Gaspipe’s allegations. Casso slipped up when he claimed that Sammy the Bull was behind an attempted assassination of activist Al Sharpton. When the Feds learned that Gravano was in prison at the time Casso claims he discussed the Sharpton plot with Gravano, they realized that Gaspipe had taken them for a ride. Eventually, Casso was taken down by another ‘rat,’ Colombo Family Associate "Big Sal" Miciotta, who had created his own sensation by falsely accusing a decorated NYPD cop, Joe Simone, of being the Colombo Family’s ‘mole’ on the FBI-NYPD Organized Crime Task Force. After the Feds dumped Miciotta for the lies he had told he found a second ‘get-out-of-jail-free card’ by ratting out Casso, who had bribed guards to bring him contraband, including heroin. 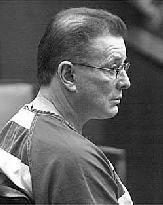 The false allegation against Sammy Gravano by hitman Anthony Casso will thus raise doubts in the minds of some as to the allegation against Gravano by "Iceman" Kuklinski, who has a bit of a credibility problem in that he has been adept at the art of deception as he lured many of his murder victims into a false sense of security before he dispatched them in gruesome methods. However, the authorities in New Jersey claim they have evidence independent of Kuklinski’s claims that tie Gravano to the murder of Officer Calabro. A motive in the Calabro murder has not yet been offered and this reporter will not repeat Media accounts challenging the integrity of Officer Calabro, given the instances cited in this report of members of law enforcement falsely accused of crimes by members of the Mafia. The murder trial of Sammy Gravano is likely to be another Media circus, just as was the trial in which Gravano helped the Feds put John Gotti away. Gravano is now said to be in poor health and has lost a lot of weight and his hair. As Sammy ponders his upcoming trial – as well as his own mortality - perhaps he revisits in his memory that fateful night all those years ago when he participated in a secret ritual in which his finger was pricked and he was told his soul would burn in Hell forever if he betrayed the ‘Family’ he was being inducted into. Sammy Gravano’s betrayal of ‘la Cosa Nostra’ seems to indicate he did not fear the eternal flames for breaking his vow, nor does the casual manner in which he dispatched at least 19 people seem to indicate he feared Hell as a consequence for those acts of his will. Perhaps now, during his final days, Salvatore Gravano ponders the possibility that he may have been wrong.